News Flash. Home sales in Lee County will be down in 2017. Current Southwest Florida home sales trail last two years, and this occurred before Hurricane Irma. Since the hurricane sales have lessened. Lee County is not alone. Tight inventory has caused much of this. If home inventory is down, it stands to reason homes sales would be down. While inventory has been up year over year for the better part of 2017, it has been falling since February. We know closings are down for 2017. We also know new pending sales are down. 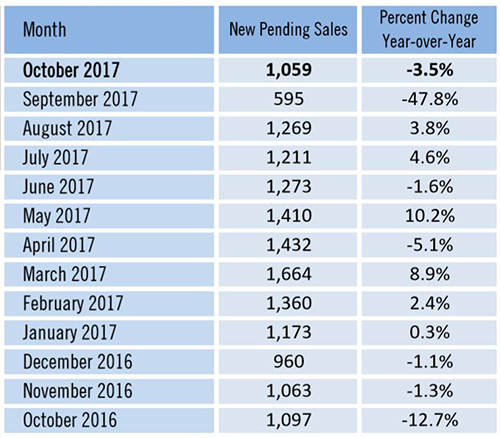 If new pending sales are down it means we don’t have a reasonable way to catch up to last two previous year’s numbers. It wasn’t likely before the storm and sure isn’t likely now. Real estate agents are probably wondering what they’re going to do. As we’ve written in previous articles, this is the time of year agents evaluate their position. Board dues are coming up by the end of the year. Bunches of agents will get out of the business. Still others will get into the business. The merry-go-round will continue in 2018. There are just as many who want to join as those that try and give up. We think you’ll see two things in the 1st Qtr. of 2018. First, more agents will join teams. They’ll have to, or they won’t stay in business. It’s costly to advertise, lead generate, pay assistant salaries, broker splits, etc. It’s also costly to do all on your own and struggle. Real estate is a very costly business. Even though real estate is costly, it costs even more not to use an agent. Several studies have shown that using an agent more than pays for itself in attaining a better price. Saving a commission does not help, a seller nets less at the closing table than if they had used a broker. And the seller did all the work. The second thing we think we’ll see is increased listings. They always go up this time of year, and we think 2018 will continue this trend. Prices are up nicely over 2016. 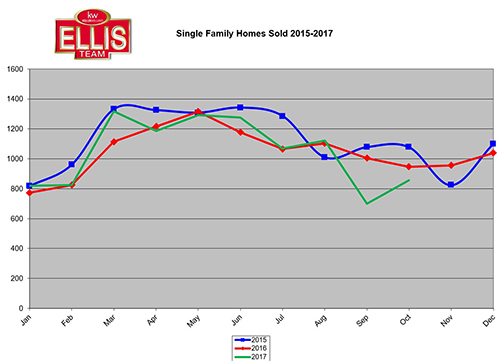 In fact, October median prices were up 6.7% and averages sale prices were up 8.6%. So, what’s the takeaway from these two predictions? If you’re a seller, make sure you list with an agent that is going to stay at their brokerage through 2018. Ask the agent you interview how their sales are. Ask if they’re contemplating making a move, and what would happen to your listing if they did move? Would they assign it to another agent and collect a referral fee, or could they take it to a new broker? Agents, develop your business plan for 2018. Before you take new listings be sure you’re at the place you’re going to be for the next year. If not, do everyone a favor and make the move now before season. It’s kind of like recruiting season for football coaches. Recruiting season is now through Feb 1, and yet some coaches won’t be there next year, and they know it. The coach can jump around but the players are locked in. The same is true for sellers. Look at joining a team or develop a strategy that can carry you through the next year. You’ll have to invest in your business. Sellers, all you can do is select the right agent, and price your home to today’s market. The days of picking any agent to sell your home are over. You’ll have to get selective again, and ask the tough questions. If you have real estate questions, please call Sande or Brett Ellis 239-489-4042. Or visit our website www.LeeCountyOnline.com and you can search the MLS for Free! Posted in Cape Coral, Cape Coral Real Estate, Fort Myers, Fort Myers Beach, Fort Myers Real Estate, Reflection Lakes, Southwest Florida Real Estate.Tagged Current Southwest Florida Home Sales, home sales in Lee County, new pending sales down.